If you used to be an iPhone owner and have now switched to Android, you are no doubt very aware of the biggest difference between the two. 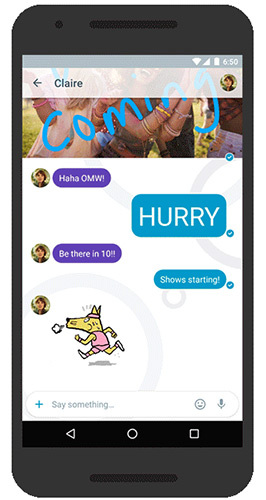 We are of course talking about messaging, or the lack of it, on Android. Yes, third-party solutions from WhatsApp and Telegram are joined by many failed attempts by Google itself, but the standard SMS protocol is really the only one that is baked in and compatible with all other phones out of the box. Over on iOS, iMessage offers SMS-like functionality since 2011 with rich media support and of course apps. Google has tried, and failed to get people to jump into alternatives like Gchat, Allo, Hangouts and many more and gotten nowhere. Now it’s trying again, but this time, things are different. 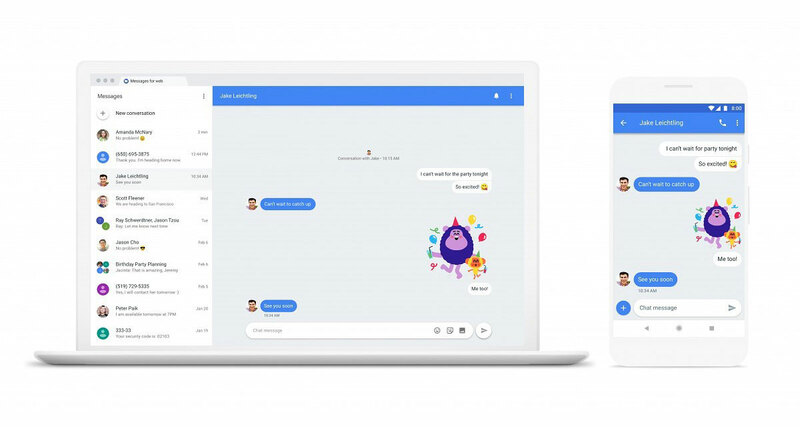 Shared by The Verge via an exclusive report, ‘Chat’ is the solution that Google hopes will finally be the end of the messaging problem on Android phones. What’s interesting here is that Chat is not a Google service but rather something Google has been able to get cellular carriers to pick up on and have it implemented themselves as a standard. That essentially makes Chat a logical successor to SMS itself, although that comes with its own problems. Like SMS, carriers will need to support Chat in order for it to work and just like SMS, there’s no end-to-end encryption of which to speak. That means right out the gate Chat is nowhere near as secure as competing messaging services, such as iMessage and WhatsApp, and that’s a big problem in 2018. Google doesn’t have numbers but it hopes that many carriers will switch Chat on this year, but there will always be some who drag their feet. Apple is also unlikely to be quick to bake Chat into its Messages app, if at all, but any Chat message sent to a device or carrier that does not support it will instead fall back to good ol’ SMS. Old faithful, there to save the day. The arrival of Chat also means that Allo is now being paused as far as development is concerned, so we can likely consign that to the scrapheap alongside every other messaging solution Google has come up with to date. Google says that “by the end of this year, we’ll be in a really great state, and by mid-next year, we’ll be in a place where a large percentage of users [will have] this experience,” so don’t expect Chat to pop up on your phone this weekend. As with all things, rolling Chat out will be a long process and no doubt a complicated one to boot. Whether it will be the replacement for SMS moving forward or whether that boat has already sailed thanks to the plethora of options available today remains to be seen. “iMessage-Like NONstandard” fixed that for you.